Sometimes I tend to see through a colored vision, based on my past experiences. How do I manage to remain unbiased? The moment you realise, ‘I am biased’, you are already out of it. In the present moment, you are innocent; you are out of whatever has passed. You should not sit and analyse yourself too much, may be you have too much free time. When you are busy, where is the time to sit and analyse? Action is spontaneous; sometimes you do the wrong things and you bear the consequences and move on, isn't it? 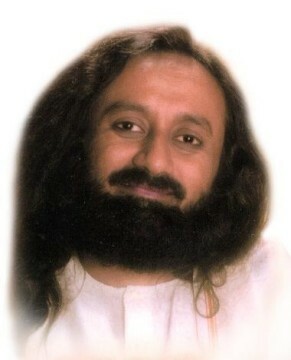 Gurudev, how does one act with devotion? I think I act with the desire for a particular result, how do I change that? Take it for granted that you have devotion. Put aside all these words -- should and must; just be natural and spontaneous. You are already on the path. When you are on the path, devotion is ingrained in you. What is the essence of the Vedas? The Vedas are the essence of creation. All that is in creation -- present, past, future, is present in a seed form in the Vedas. Don't ask me what is the essence of the essence! Vedas are called the essence! "Saaravat vishwato mukham", i.e., Vedas are multi-faceted, multi-dimensional and the very essence of existence. 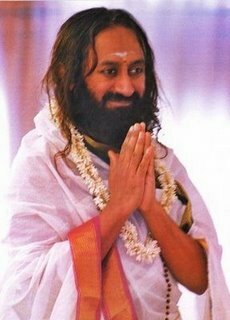 Gurudev, today, Science has found that gravitation is also a wave. Could you tell us what the Vedas have to say about gravitation and matter? Matter and energy are the same. Matter is only appearing, it has no separate existence from energy. Vedas say that matter is an illusion, and energy is a reality. If there is any reality, it is just the energy. Brahman is the energy and jagat, the world, is the form. Name and form of matter are temporary, and what is eternal is energy! In the Indian Jyotish Shastra, they speak of nine planets, i.e., Navagraha. Science has revealed that there are more than nine planets. Also, why are the Sun and the Moon called planets? Is this scientific? Similarly, there are various energies at play; it is the connection of the macrocosm and the microcosm. Don't think of it as a connection with the physical planets only, but the cosmic energy is somewhere and somehow related to this planetary position. That is what is discussed in Jyotish Shastra. The macrocosm and microcosm are inter-linked. For instance, certain vibrations - like the bio-dynamic energy - are related to birds, planets, grains and parts of our body. For example, Saturn energy is connected with the crow. The vibration of the crow, the planet Saturn, the sesame seed and teeth in the human body are all linked, connected. There must have been tremendous amount of research done on this in the past, and it invites people of the future to find out more. Similarly, goat, the planet Mars, chick peas and the liver are connected. We know for sure that the liver and chick peas are connected. And we know that for hair, nails and teeth, sesame seeds definitely help. For instance, as per Ayurveda, if you take some gingily (sesame seed) oil and gargle, it helps mouth ulcers, pyorrhoea and other dental issues. The ancient people have written these things. There seems to be some deep study conducted in the past or it has come from intuitive awareness. This throws a challenge for scientists to conduct studies, and prove or disprove it. If you think it is wrong, you have to disprove it, and if you think it is right, then you need to prove it! Isn’t it interesting how all these are connected - you hair, nail, teeth? Of course, everything is connected to everything else, but some are more direct. Specific herbs have an effect on specific parts of the body. This Ayurveda Materia Medica was sung in the form of poetry thousands of years ago in the Vedas. It is the only Materia Medica in the world that is in the form of poetry. Hence, practitioners, i.e., Vaidyas, Ayurvedic doctors, found it easy to memorise and learn all about the organs and their impact. It is wonderful listening to these poems, and it is amazing how all of it was in a poetic form. These poems come from deep inside, from an unknown corner of our consciousness, which is why a lot of this knowledge is based on intuition. And something which comes out of intuition is always correct. Gurudev, business today has become so complex, financial decisions taken in one office affects the lives of millions who are not even aware of why their currency is falling. How can I become independent of such a system? Well, it is really impossible. Everything is connected to the currency, right? Even if you are a farmer who says that I will grow my own food, even then you need to buy manure, or sell the products you grow; for all that you are dependent on the currency system, and the market. All I can say is that people who are managing the world economic scenario should be more compassionate, they should have a heart. They should not be cut-throat business people who just worry about their wallet, and not care about people on the planet. The games people play on the world scenario is pathetic. There are sincere people, but I am sure there are many, who are insincere and have vested interests, and that is costing the planet heavily. 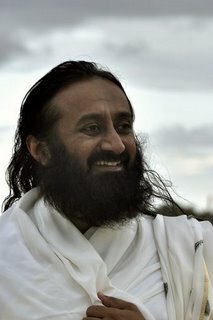 Gurudev, in surrender, it seems that there is a lack of responsibility. Is that true? No! Both should go together. You should surrender and take responsibility, or after taking responsibility, you should surrender. How? Like when you watch television, you watch and listen simultaneously. Having surrendered, take full responsibility! If you have taken responsibility, know that there is something bigger than you, and surrender to that! Pray that you get all the strength you need to fulfil your responsibility. Responsibility and surrender, and intention and surrender are not contrary to each other. In fact, both can go hand in hand. Surrender cannot happen without sankalpa, and sankalpa (intention) will remain incomplete without surrender. If a disciple has expectations from the Guru, what should they be? And if the Guru has any expectations from the disciple, what should they be? You work out the calculations yourself! Be dedicated, have determination, be in surrender and have thirst for knowledge. Actually, the Guru doesn't really have any expectations. For instance, the Principal of a school knows there are students in different grades -- nursery, first, second or third grade. If you ask him, "What do you expect from these children?" What will he say? They should all come to class in time, and learn with dedication, isn’t it? He will certainly not expect a primary class child to recite a poem of the fifth grade. You are here right? And if you are here now,just keep working.